This place is just 1 hour from the city of Jaco by Quepos, the tour begins with a stroll by the river along the edge of Rio Seco. 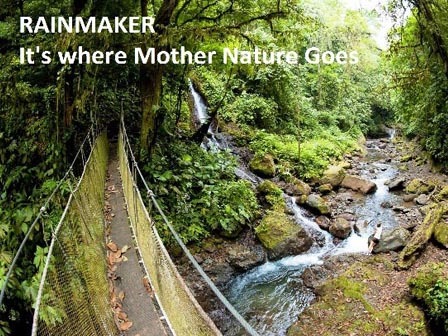 Handrails and easy to follow trails with observation platforms allow you to see waterfalls and captures, with photographs, the rich biodiversity of this unique place has to offer. 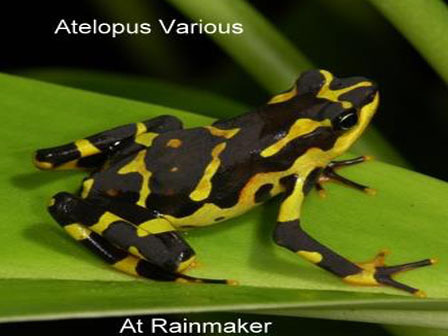 Rainmaker is home to Morpho butterflies, varieties of birds, colorful poison frog, and thousands of species of unique plants. Depending on the time of year, visitors will also enjoy sightings of reptiles and other amazing animals that make their way into the water. At the end of the hike crystal-clear waterfall pool invite you to enjoy a refreshing dip. 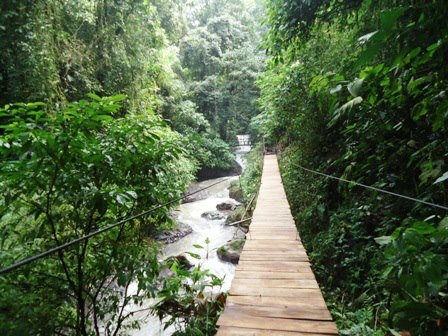 Continuing along the trail, visitors will enter the Canopy Bridge system. This system consists of hanging bridges, built with engineering standards of the United States. 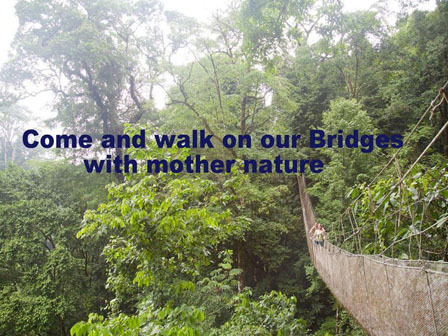 The six sections total 250 meters, ranging from platforms attached to massive hardwood trees to create the most impressive Canopy Walk in Costa Rica. The design allows the forest impact is minimal, giving our participants the opportunity to explore the forest canopy majestic bird’s eye view. 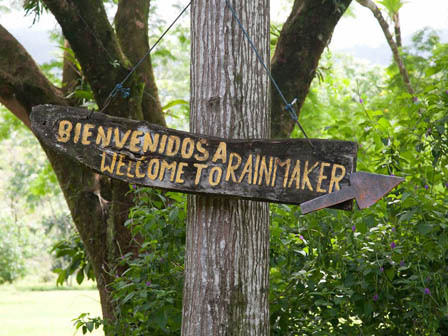 Includes : Bilingual naturalist guide, air conditioned transportation, entrance to the park ,water and lunch. What to bring : comfortable clothes, ,swimsuit, walking shoes, camera, hat and mosquitoes repellent.